A couple of days ago, I wrote about Redmonk, an open source analyst firm and how my friend Tom Raftery got hired as a result of a dialog conducted entirely on Twitter. Earlier today, I inquired about Twitter sites where you could offer or look for jobs and was surprised to find lots of them, including @JobShouts, @TwitHire, @SMJobWire, @LinkUp, @SEOJobs and #Tweet4Work in the US. Then there were three more, @ottawatweetjobs @mtltweetjobs @torontotweetjob in Canada. In short, there’s a LOT happening on Twitter in terms of job searching and recruiting. This probably accelerate because these are tough economic times. There are surely more jobs being sought, than offered. But there clearly are some jobs out there and you can find them pretty easily on Twitter. This is no surprise to Sodexo, the North American leader in managing food services and facilities. If you ever experienced the cuisine in a hospital, senior citizen center, college, medical or military facility, then you have probably eaten one of the 10 million meals they serve each day at 6000 locations in the Canada, the US and Mexico. Sodexo, employs 120,000 people, but the big news is the company is in hire mode. In addition to plans to hire 1800 recent college grads, the company intends to add on over 5000 managers, professionals, and executives this year. These include General Managers, Chefs, Facilities Engineers, Environmental Services Managers, Dietitians, District Managers, vice presidents, and roles in Finance, HR, IS&T, Communications, Supply Management and more. And despite these troubled times, their business is growing and they are hiring. What brings it to this blog is that Sodexo, a company that has been named as one of the best places to work, is using Twitter as an executive recruiting tool . Arie Ball, vice president of Sodexo's Talent Acquisition Group, a 30-year company veteran is the spearhead of this effort. She's no stranger to social media in fact she's previously experimented with other social media platforms, including Second Life where it participated in a virtual job fair. Below are Arie's answers to my questions. 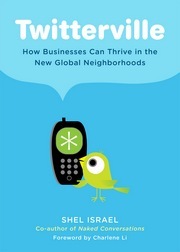 Sodexo will be included in my chapter on business-to-business, Twitter companies. Q1. Please tell me what social media Sodexo uses overall. Sodexo’s Talent Acquisition Group uses a range of social media to assist us in sourcing and attracting top executives and managers to our company. Through social media, we are able to connect with individuals in a more authentic way, and share information about our company, culture, work environment, and career opportunities. We were the first in our industry to embrace social media, and today we find that it has widely expanded our reach. Through our Careers Blog, our Fan Page and Group on Facebook, our LinkedIn Group, our You Tube Channel, and now Twitter, we are able to provide potential candidates with a glimpse into our company—whether it is about our diversity initiatives, our mentoring culture, our flexible work environment, our corporate social responsibility focus—social media provides a way for us to share who we are with a world of potential candidates, and open a dialog for exchanging views and perspectives. These networks have opened a line of communication that is global, and we are now interacting with Sodexo employees and candidates around the world. Q2. When, how and why did Sodexo start using Twitter? Was it part of a central strategy or did the Twitter activity grow organically. How many Sodexo employees Tweet now? We started using Twitter to build traffic to not only our web site but to also drive traffic to our blog, Facebook and our all of our social media marketing groups. Many of our recruiters have now embraced Twitter as a way to build a targeted network and to create one-to-one relationships with candidates and groups in their particular area of focus. For example, one of our recruiters is successfully using Twitter to connect with former military personnel to help fuel our company’s planned growth in facilities management. Another recruiter expanded overnight her connections within the culinary world so as to build a pool of chefs for her talent pipeline. To date, we have approximately 20 recruiters who are actively using Twitter to source potential candidates, build our employment brand and expand our network, and this number is growing daily. Q3. How would you rate Twitter as a recruiting tool vs, say Linked In or Craig's List? At this point, it is hard for us to compare as we have only been using Twitter for a few months. We use Twitter to engage employees, candidates, and the other social networks we have built. When we have exciting and unique career opportunities within our company, Twitter helps us to broadcast to a wide audience. Twitter also helps us promote our other social network groups and web sites and these social network groups allow us an opportunity to further engage our visitors with more detailed discussions, questions, photos and video. For us, LinkedIn, Facebook and Twitter all offer similar options – the opportunity to engage individuals in discussion on topics of mutual interest, strengthen our employment brand, increase our online presence, and encourage individuals to visit our website to learn even more about our company and our opportunities. Q4 Can you tell me a great story about Sodexo and tweeting, something that could not have happened without Twitter? She wants to work for a forward-thinking company that embraces new technologies. Through Twitter she learned of the positive financial growth we have experienced even in this challenging economic time. This is important to her, given that she works in a more recession sensitive segment of our industry. Twitter helps us to convey many other important subjects to potential candidates such as our commitment to social responsibility, our many awards in the areas of talent and diversity, internships, and much more. Within hours of receiving the initial tweet, two of our recruiters in her geography reached out to her to discuss career opportunities. Q5. How do you think Twitter has changed perceptions of Sodexo? How has Twitter actually changed Sodexo--if at all? I would not say it has changed the perception of Sodexo, but perhaps, it has reinforced our reputation for being an innovative, forward thinking company. It has strengthened our standing as a leader in our industry in using social media for recruiting and employment branding. It has expanded the reach of our employment branding as well as other Sodexo related items like our diversity annual report, our STOP Hunger scholarship opportunity, our Sodexo Alumni program and any new launches that we want to draw attention to. Q6 Do you see any downsides to using Twitter as a recruiting tool? We communicate with the team on a regular basis about appropriate etiquette and encourage our recruiters to enhance our employment brand through value added posts and updates. Another possible drawback is the real-time nature of Twitter - if a tweet does not get noticed within an hour or so of posting, the message gets lost in Twitterville. Q7 What advice do you have to other companies considering using Twitter the way Sodexo is using it? To understand the value of Twitter you have to jump right in and experience it first hand. Q8 How do you see Sodexo's use of Twitter evolving over time? We think it will continue to build our employment brand and engage potential candidates on a level we would not be able to achieve without it. Twitter, combined with our other social networking tools, will continue to enhance authentic communication between our company and individuals in our industry and profession. We are also excited about its potential to evolve over time into another medium used by our employees to share their Sodexo’s stories with potential candidates. Although our social media initiatives have been led by our Talent Acquisition Group, we have been delighted to see our employees become involved in ways such as guest blogging and uploading content to Facebook, YouTube and LinkedIn. We view Twitter as another way to build on this corporate-wide recruitment “everyone is a recruiter” culture within our company, and help us to continue to expand our networks.